We told you all about our latest project here, and now we get to share a some behind the scenes shots with you. My husband and I discovered the perfect place for our eBook photo shoot while exploring the east side of Casper Mountain. A few months later, Monika and I headed out and spent the afternoon planning specific shots before we brought our model there. It’s easy to see why Monika got lost capturing the scenery and the landscape’s natural beauty. We didn’t want to leave, but dusk settled across the high prairie and, with it, an unrelenting chill. The same thing happened when we came out with Sarah, our lovely model – before we knew it, the sun was setting. Sarah was a trooper: her eyes wouldn’t stop watering, and she was shivering standing up near that ledge. I know it may seem like an easy task to be photographed, but it isn’t. It is mentally draining and if the weather is less than ideal, it wears you down faster. 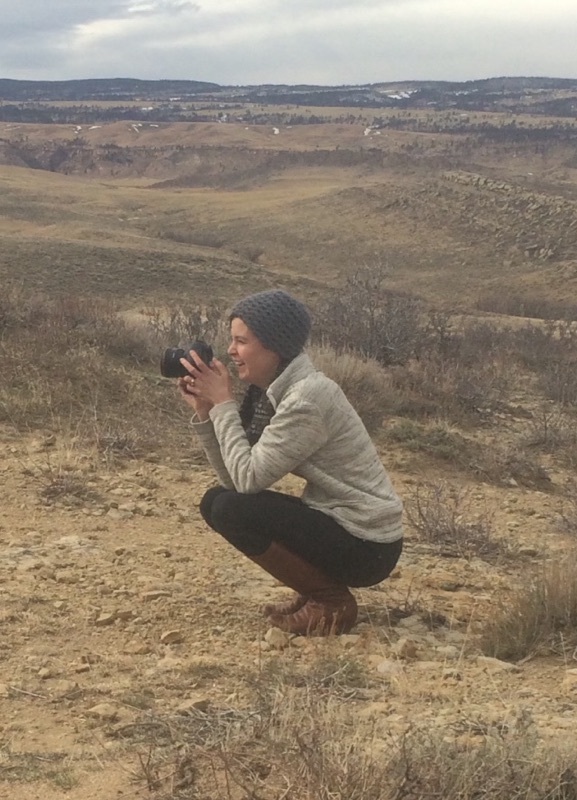 It was so windy the day of our shoot (20-30 mph winds)… totally normal (and a little mild) for a Wyoming winter. To get her warm as we walked to our next location, I wrapped this blanket around her. It became an impromptu place to get these photos. That’s Monika at her best: snatching a perfect moment before it’s gone. Speaking of Monika at her best – I know this photograph (right) looks completely staged. The wind flicked the corner up just as Monika took the photo. It felt as though the Wyoming wind understood how special this project is to us and playfully cooperated for just a moment. I don’t think I can really describe how incredible it is that we got so many “still” shots. Sarah’s hair would fly straight up, to the side, then lay normally on her head for one second before flying again. Everything she modeled whipped and swirled – it is a wonder (and again proof of Monika’s talent) that we were able to use so many of the shots we took that day. The photographer in a photo: Monika in our Bulky Beanie. 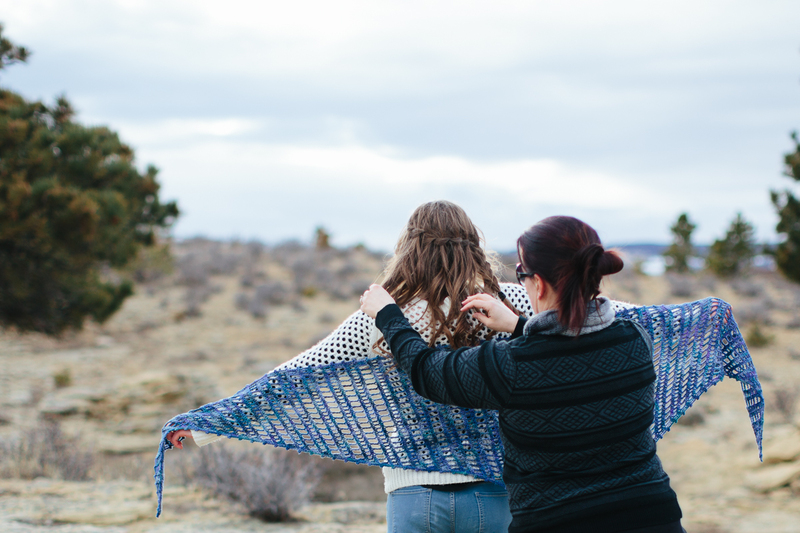 Quickly weaving in some stray ends on The Wildflower Throw. 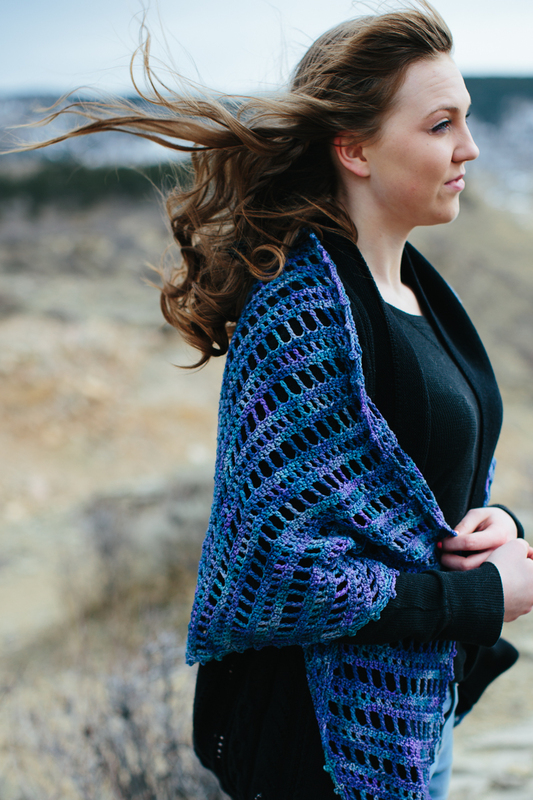 Fussing with hair and shawl. 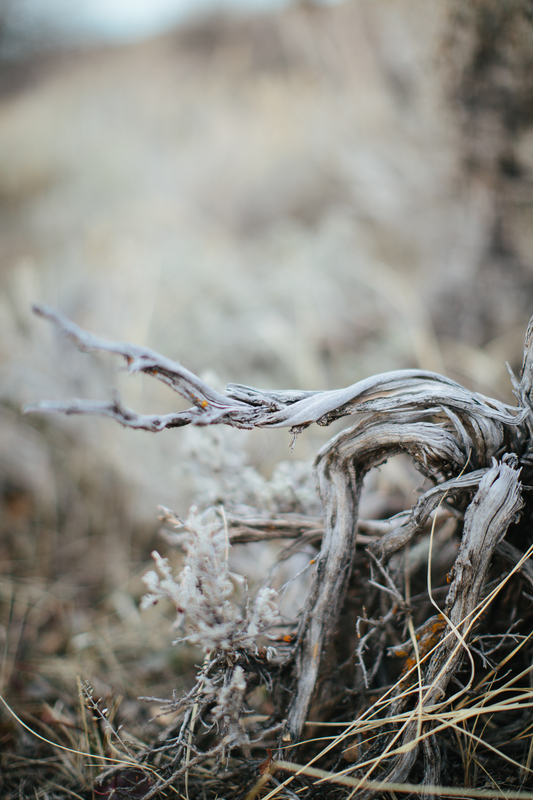 Looking at these pictures of our photo shoot reminds me of what I love about the Wyoming landscape, and what I hoped to capture in our eBook: the wild, untamed beauty of the West. 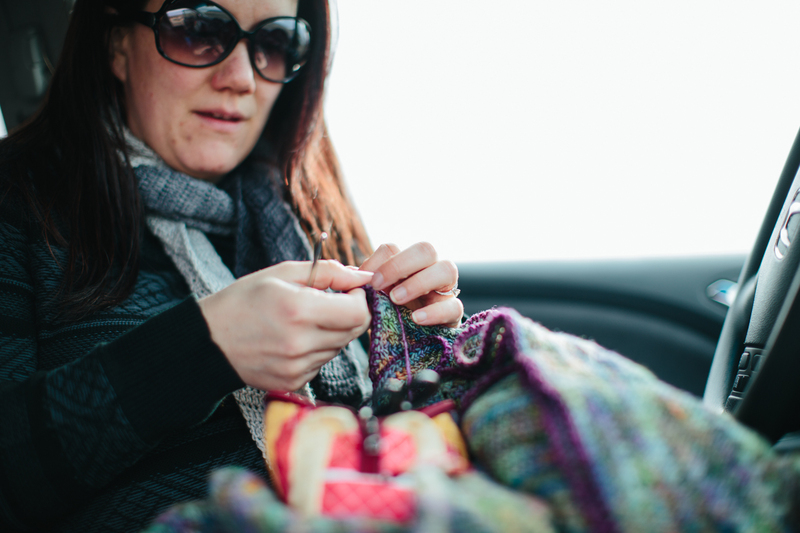 I love your blog because of your gift with yarn. I love it more because of all the spectacular images of Wyoming. The west holds a special place in my heart and this Pennsylvania girl can’t wait to see it again someday. Thank you. That is so wonderful. I hope you can make it back West someday. Until then, feel free to live vicariously through our photos – there’s a lot more to come! 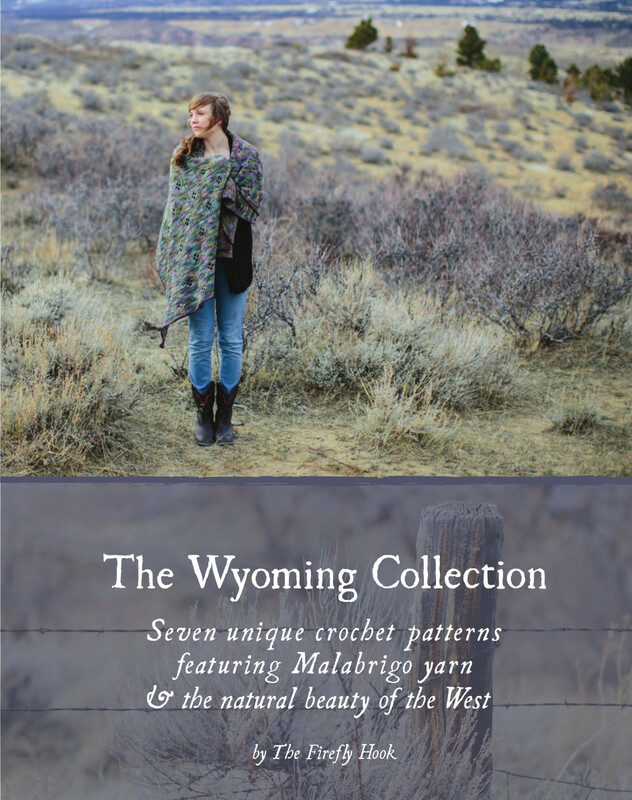 This is our most favorite project to-date… hands down… because what could be better than Malabrigo yarn and Wyoming?